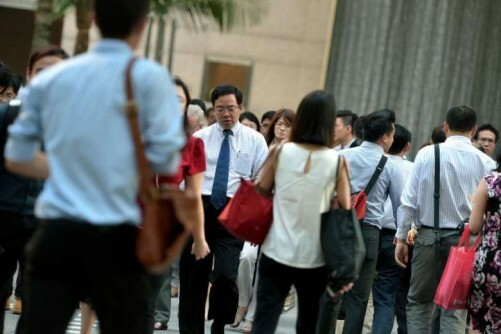 SINGAPORE - Less than 10 per cent of workplace discrimination complaints in the past five years have been about race or religion, Minister of State for Manpower Teo Ser Luck told the House on Monday (July 11). Since 2014, the Manpower Ministry (MOM) has warned 10 employers over such complaints and punished 12 others by curtailing their work pass privileges, he said. He was responding to questions from MPs Intan Azura Mokhtar(Ang Mo Kio GRC), Zaqy Mohamad (Chua Chu Kang GRC) and Zainal Sapari (Pasir Ris-Punggol GRC) on the subject of discriminatory practices in hiring and at work. Mr Teo noted that MOM and the Tripartite Alliance for Fair and Progressive Employment Practices (Tafep) received an average of 400 complaints about workplace discrimination each year between 2011 and 2015. Of these, less than 10 per cent - or about 30 each year - were related to race or religion, he said. Most of these complaints centred on unfair hiring practices, such as posting discriminatory job advertisements and asking inappropriate questions during job interviews. The remaining involved issues that occurred during employment, such as poor grievance handling and insensitive communication of company policies and practices. Mr Teo said that before 2014, Tafep had taken a more advisory approach, counselling employers involved in such complaints. But since then, stronger action has been taken against employers who fail to comply, such as the ministry curtailing a company's ability to hire foreign workers. MPs also wanted to know how effective such measures were. Mr Teo responded that when the authorities checked back on errant firms who had been penalised, there were no repeat complaints. He added that Tafep would step up its public education campaign on workforce diversity, as well as ramp up training for human resource practitioners on fair hiring.